It’s dark outside, and drizzling. 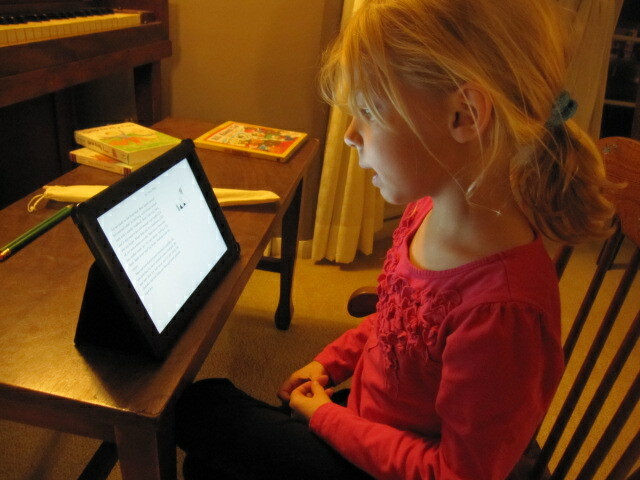 Emmy is reading Ivy and Bean on the Nook tablet. 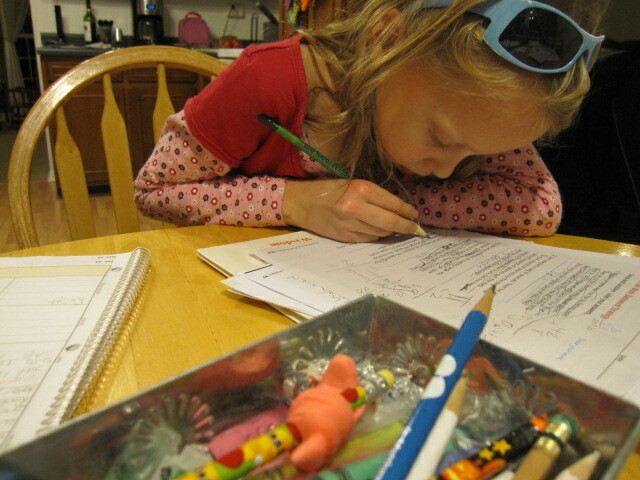 Lily is struggling with math homework. I’m making dinner, and Ed is stuck in traffic. Yup, it’s a typical Thursday night. But soon it’s the weekend. And Thanksgiving (where you are) and Christmas and New Year’s! So, those moments of quiet mundanity are good. Otherwise I think we would all go mad! Typical Thursday night here! We’re both on our own computers, and the TV is blaring and unwatched. Love the sunglasses while doing homework. My hubby was late also tonight.